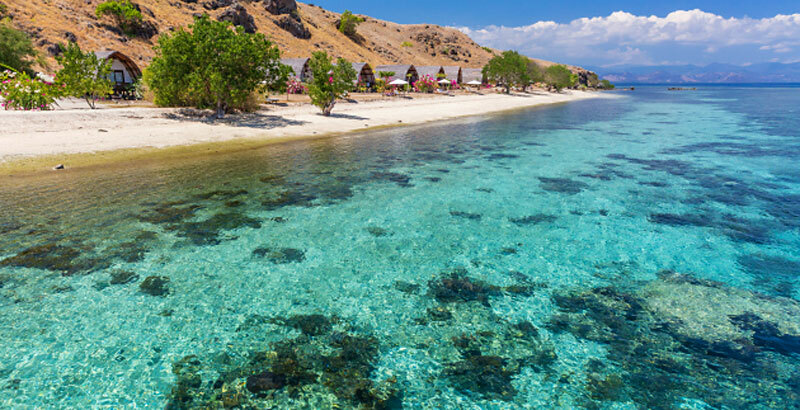 We are delighted to announce this exciting trip to snorkel the stunning reefs of the Komodo islands, using the wonderful Komodo Resort as your base. 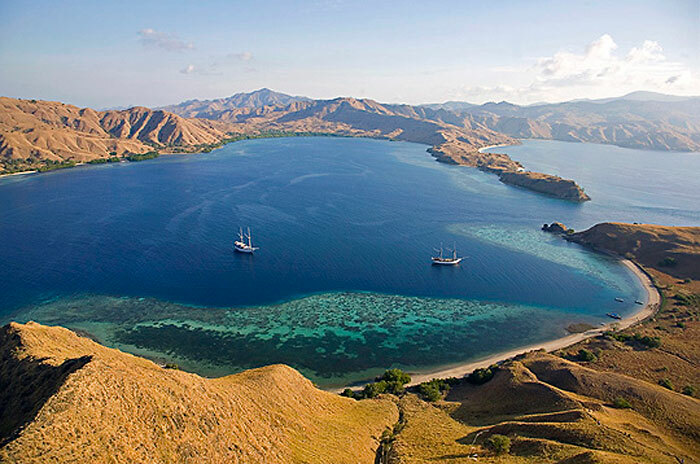 This affordable seven day remote adventure will explore fantastic reefs, beautiful landscapes, and land-based attractions like trekking to see Komodo Dragons! 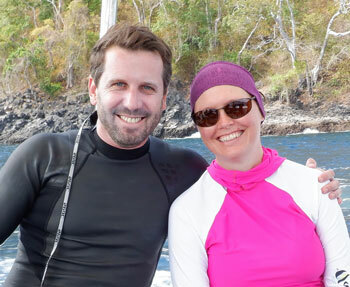 The group size will vary depending on interest, but there will be a guide from Ben's team for every 12-16 snorkelers. After your international flight into Bali, you will meet your group and stay the first night there. The next morning you are off to Komodo Resort by plane and boat transfer. Komodo is a national park of 26 islands which lie to the east of Bali. Taking a trip to this remote corner of Asia feels like stepping back in time. The islands are volcanic in origin with striking rugged hillsides of dry savanna and green thorny vegetation surrounded by beautiful sandy beaches. 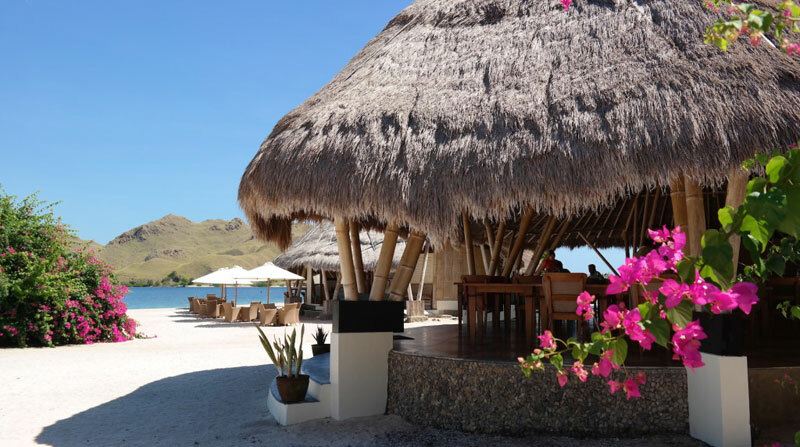 Komodo Resort is an extraordinary island resort on the outskirts of Komodo National Park. 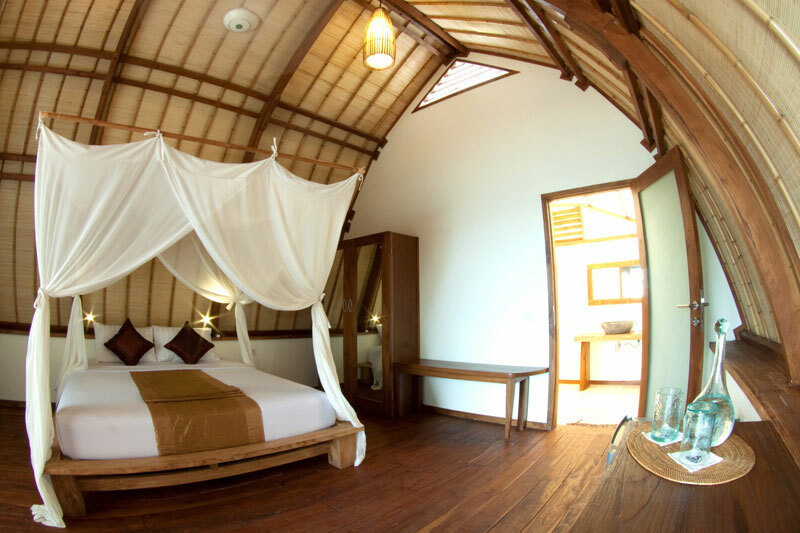 Your luxurious beachfront bungalows are en-suite and air-conditioned and the sunset beach bar is simply wonderful. 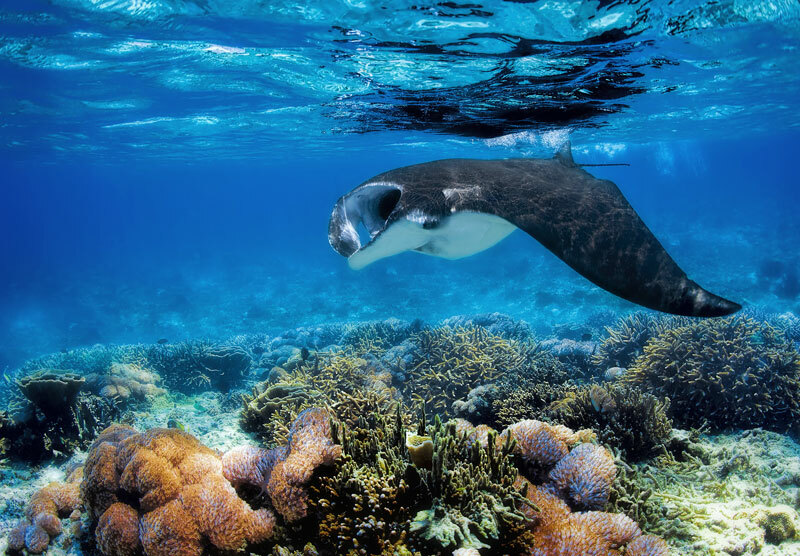 The house reef offers beautiful snorkeling opportunities, but the real attraction is the lush and lively reefs within the national park, as well as the chance to snorkel with the huge and majestic manta rays. 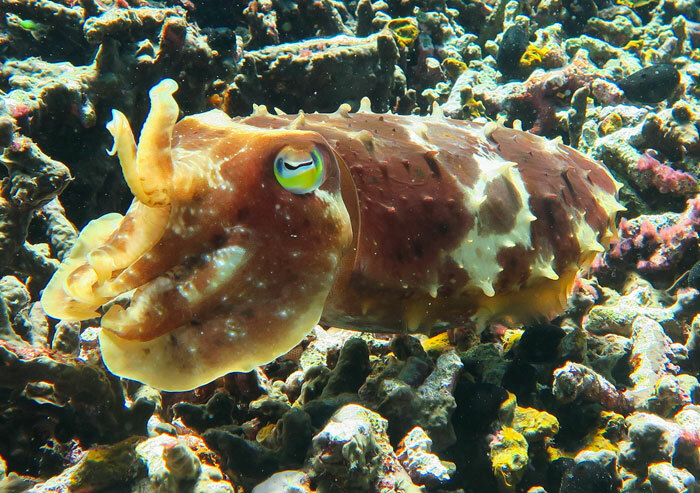 Below the surface you can expect truly world class snorkeling. 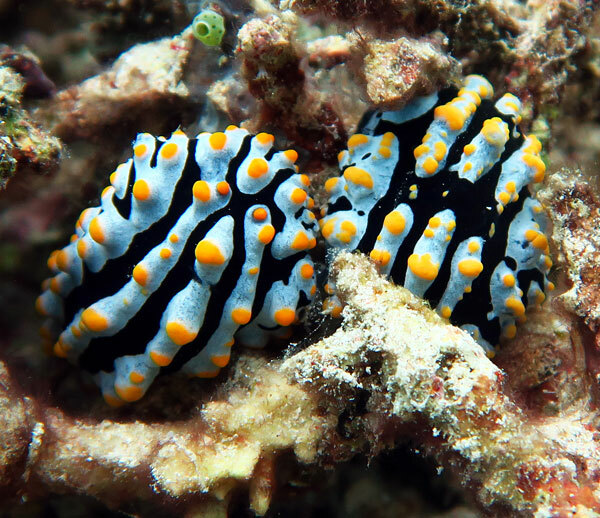 It is after all the heart of the Coral Triangle. Manta cleaning stations are scattered throughout the park. It isn’t uncommon to have encounters with large numbers of these majestic creatures. Schooling pelagics and reef sharks also make frequent appearances. 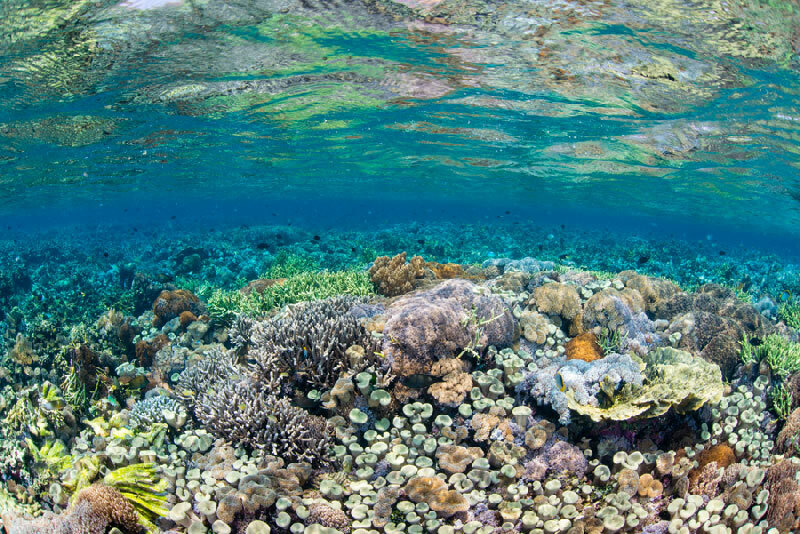 Below the surface topography ranges from diverse coral gardens to craggy pinnacles and walls. This makes the snorkeling suited to a variety of preferences. 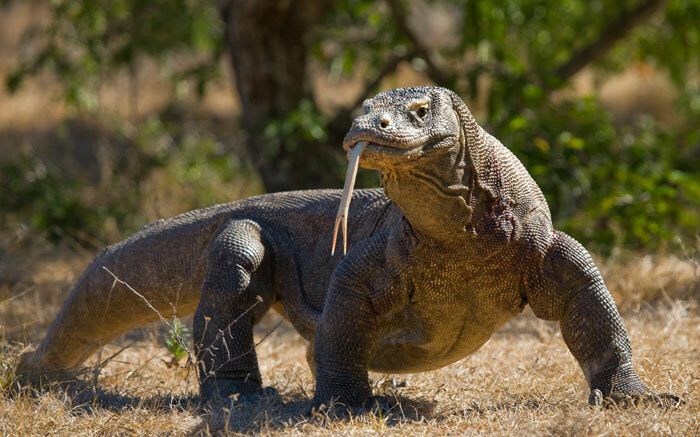 Topside, there’s the chance to trek on Rinca Island and see the legendary Komodo Dragons lazing in the warm sunshine. 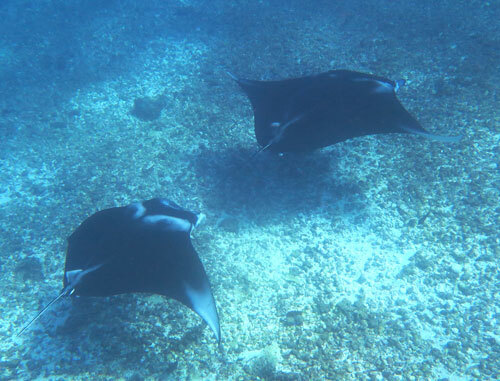 You will enjoy two 90-120 minute boat snorkeling trips per day from the resort. The large wooden boats used for snorkeling are designed for maximum comfort while traveling to and from the snorkel sites. The main deck has bench-style seating, an onboard toilet, and a large deck with a sturdy ladder for easy access from the water. The upper deck has a large shaded area furnished with comfy beanbags, ideal for lazing while enjoying the stunning vistas. Travel time to the snorkel sites varies from a few minutes to over an hour. What is Komodo Resort Like? You will have seven nights at Komodo Resort which is set on its own private island in a secluded area of eastern Indonesia. 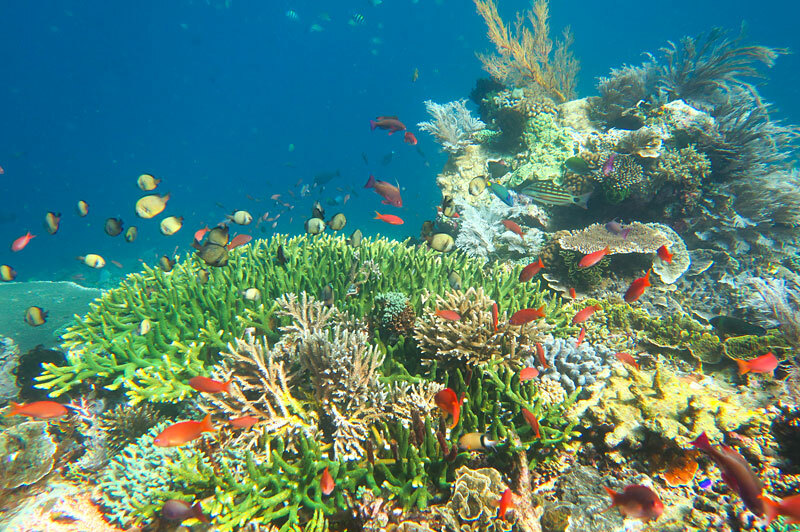 Not only is it within range of some of Komodo's finest snorkeling sites, it has a spectacular and pristine house reef, powder white sand beaches for afternoon relaxation and accommodation finely in tune with its surroundings. The abundance of pristine reefs, islands, islets and sandy bays found within range of Komodo Resort would take a lifetime to explore. The 16 seafront bungalows plus 4 suite bungalows are made of teak wood, have private bathrooms, and are surrounded by the nature of a desert island. All the rooms have air conditioning, fans, hot water and 24 hours electric power. 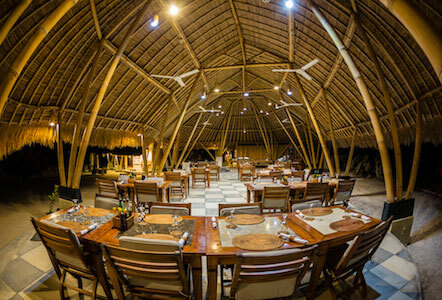 The open air bamboo restaurant serves international and Italian cuisine with fresh produce and fish straight from the sea. You can enjoy daily homemade bread, pasta at dinner and pastries and cakes at breakfast. They also accommodate dietary restrictions. Breakfast is served buffet-style and lunch and dinner are ordered a la carte. Feel the breeze and enjoy the view of the ocean sipping a glass of wine. The resort also boasts a lovely beach bar with spectacular sunset views, which serves a wide variety of beverages. The resort has a small spa offering traditional Javanese massage, relaxation massage, masks and scrubs. There is also a small gym, if you need a workout after all the snorkeling and island hiking. We expect this trip to fill quickly. Your spot is reserved with your deposit of $400 US per person. Contact Ben below for deposit instructions. November 12-20, 2019 - Trip full, but you can be on a waitlist.